Londsands in Tynemouth has rapidly become a North East destination restaurant. 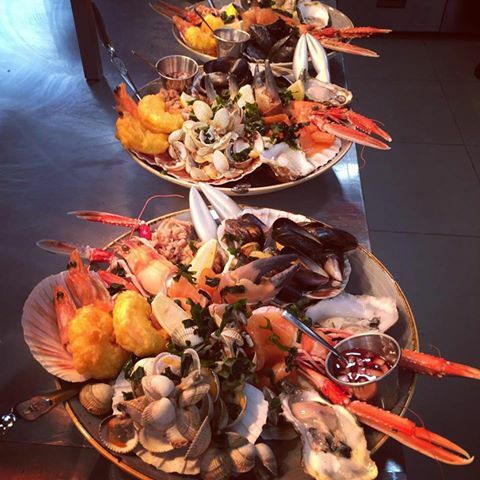 Whether its fish and chips or something more sophisticated from Davy Jones locker Longsands have taken the very best produce from the North Sea and added influences from around the globe. To celebrate we have a five course tasting menu dinner for two with wine on offer. As usual. I will post this on facebook. You need to share to win and then add your details on the comment section on my blog. Looks fabulous like your recipes! Tasting menu sounds fab. Have visited the restaurant, tried the fish and chips, had breakfast, know the Chef and wish it all the luck in the world. Mmm somehow breakfast is now going to fail miserably. Looks good enough to eat. Im Hank Marvin. Keep up the good work. I could do with a night out without the kids and This sounds lovely! Great food, I love anything from the sea but I’m often disappointed ! Not Here me mateys !!!! I’d love to win, what a fantastic prize! It’d be a great excuse for a day out in the area! I want to eat everything you cook!! And would be keen to attend a supper club. Just love the Ravenous Fox!! Seafood and sea air, sounds like just what the Dr ordered!